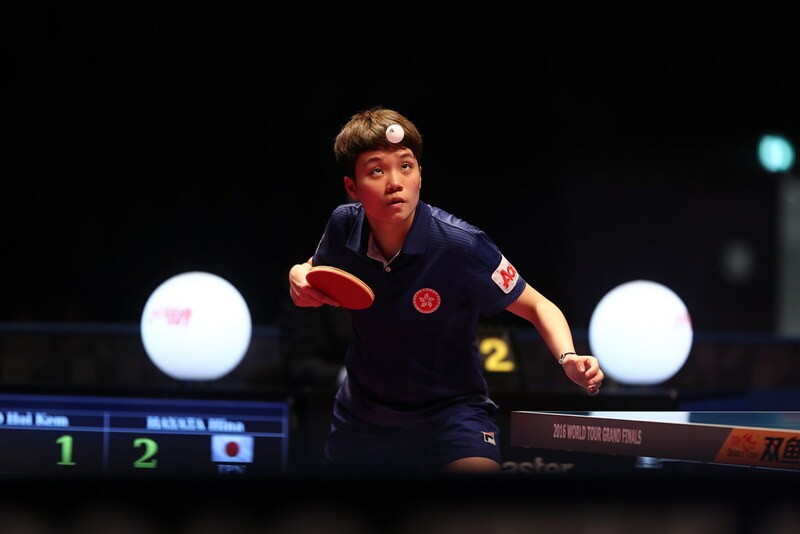 Impressive when in Shanghai she was crowned World Junior champion, the same one year later when she retained the title in La Roche sur Yon; nobody was more impressive on the penultimate day of play, Thursday 6th July, at the Seamaster 2017 ITTF World Tour Platinum Australia Open in Gold Coast than China’s Wang Manyu. 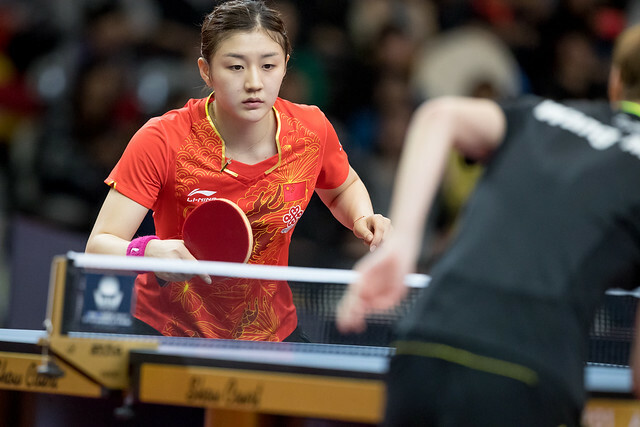 Facing colleagues, at the quarter-final stage of the Women’s Singles event, she beat fellow qualifier Chen Xingtong in four straight games (11-8, 11-4, 11-5, 11-8), before causing a major upset by overcoming, Zhu Yuling, the top seed, by the same margin (11-8, 11-7, 11-4, 11-4). At the final hurdle, Wang Manyu meets Chen Meng, the player against whom she experienced defeat in the final in Qatar earlier this year. According to status, Chen Meng accounted for Chinese National Team colleagues, Zhang Qiang (11-7, 11-6, 11-5, 11-8) and Gu Yuting, to reserve her place in the final. Earlier in the round of the last eight, the hopes of Japan had been extinguished; Zhu Yuling had beaten Maki Shiomi (11-3, 15-13, 11-4, 11-3), Gu Yuting had overcome Saki Shibata (11-7, 11-9, 11-5, 11-9). A major upset in the Women’s Singles event as the day concluded; as the day began there had been a similar surprise at the quarter-final stage of the Men’s Singles competition. Not seeded, Korea’s Cho Seungmin beat Japan’s Jun Mizutani, the top seed and defending champion (11-9, 8-11, 11-5, 11-7, 6-11, 8-11, 11-4) in what was not a good round for the Land of the Rising Sun. Four quarter-finalists, not one survived. In addition to the demise of Jun Mizutani; Kenta Matsudaira, the no.4 seed, was beaten by Vladimir Samsonov of Belarus, the no.4 seed (11-8, 11-9, 8-11, 11-8, 11-9), Masaki Yoshida experienced defeat when facing Frenchman Simon Gauzy (11-5, 11-9, 11-9, 11-4). Similarly, Yuya Oshima, the no.10 seed, suffered at the hands of England’s Paul Drinkhall (11-8, 7-11, 11-8, 7-11, 11-4, 11-8), like Masaki Yoshida, a player who had been required to compete in the preceding qualification tournament. Surprise wins for Cho Seungmin and Paul Drinkhall but at the semi-final stage it was journey’s end. Cho Seungmin was beaten by Simon Gauzy (11-5, 11-6, 11-6, 9-11, 10-12, 15-13); Paul Drinkhall lost to Vladimir Samsonov (11-8, 11-4, 11-6, 7-11, 11-7). Defeat for Jun Mizutani means that the tradition of no player having ever won a title at an ITTF World Tour tournament continues; for Vladimir Samsonov a landmark has been achieved, he has now reached Men’s Singles final in all five continents of the world – Africa, America, Asia, Europe, Oceania – the only other player to achieve the feat is Austria’s Werner Schlager. One step further and Vladimir Samsonov stands alone.